WELCOME TO MY LAUNCH PARTY!!! Oh girls! !..after many years of searching, I have finally found a skin care routine that works!...and quickly!! I am such a believer in these products, that I decided to become a Rodan and Fields consultant so I could share with all of you! First off, I have a huge GIVEAWAY for you today!!! If you haven't heard about Rodan and Fields, let me tell you just a little bit about the company. Rodan and Fields was developed by the same doctors who created Proactiv for acne. What they did for acne, they are now doing for aging skin. Our products were previously featured in high-end department stores like Nordstrom and Bloomingdales. The doctors realized they were only reaching one person at a time behind the cosmetics counter and decided with social media on the rise to move to the direct sales market. I'm SO glad they did!! My friend, Haley, recently started selling Rodan and Fields. I'd see her information on facebook and finally one day I contacted her about using the products. I've been using the regimen for about two months and am LOVING my skin!! So much so, that I decided I'd take a leap of faith and start selling/sharing the products with all of you. Here are the products I'm headlining today!! I've been using the Redefine regimen and I'm absolutely loving it!! The Redefine regimen helps with wrinkles, pores, and loss of firmness in your skin. Unblemish regimen is for acne and post-acne scarring. Reverse for brown spots, dullness and sun damage. 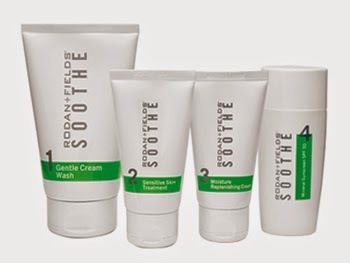 Soothe regimen for sensitive, irritated skin and facial redness. With these four different regimens, you are guaranteed to fit your skin care needs along with enhancements and essentials to get the skin you've always wanted. Enter the Rafflecopter below for the chance to win an ENTIRE regimen of your choice!!! I've also been using the Amp MD System. This micro-exfoliating roller system is simply incredible!! If you aren't satisfied with your current skin care routine, or would like to learn more about why Rodan and Fields is different, PLEASE e-mail me at alittlebitofeverything83@yahoo.com. I'd love to sit up a time to talk to you and see how we can help you (and your skin)! Or...if you know exactly what you're interested in, you can go to my page HERE. Please let me know if you have any questions!! Thank you!! Enter the rafflecopter for a chance to WIN!!! Yay!! I'm so excited for you!! This is going to be a great opportunity for some really lucky winner! And yes...your skin looks fabulous!! Thanks for the opportunity! I've been interested in these products! Unblemish! I am so curious about this! I was just reading your blog the other day and I thought what does she do with her skin. It looks great! I would love to win. Super excited to try this!!! Winning would be even better! Going to check out the tanner ASAP ! Blessings, Steph! I would live to try R&F. I think redefine would be my first choice. Thanks for the giveaway. Definitely the Redefine products! Thank you! I would pick the redefine - I have always wanted to try this! I would LOVE to try the redifine! I've looked at redefine several times. Just haven't bit the bullet to buy yet. I've heard amazing things about these products. Hope to win! I would pick Redefine! Your skin looks amazing! Great giveaway! SO SO SO blessed to have you on my team, Erika! Your skin DOES look amazing and I am so proud of you for taking this leap of faith! I have heard some awesome things about these products and would love to try them! I would start with Redefine. You are so sweet to do a giveaway! I would be interested in the redefine line. Never used these products so I would be interested! Self tanner would be great this time of the year! I love R and F!! Awesome giveaway! Thank you for the great chance to try these products. They sound awesome! I would LOVE to try the redefine. I'm always looking for new ways to improve my skin. Thanks! I have heard soo many wonderful things about Rodan and Fields. Would love to try it! I would love to try the redine!!! Love the sunless tanning! I would love to try Reverse. Great give away! I would love to win. I have heard such great comment about these products from my friends. Would love to try Redine!! Thank you. I would try redefine. I would love to win this and try the soothe products!! I would love to try out the Redefine Regimen!! I've heard lots of good things about this line. Thanks for the chance to try it out! I would love to try a new skin care routine! wahooo!! I so love Rodan and Fields and hope to win yet some more of their wonderful products! I would love to try the Reverse!! I would love to try the redefine! I have been wanting to try this line of skin care! If I don't win I will need to take the plunge and buy it myself! I would like to try redefine. I have been wanting to try this skin care line for a while!! I am excited to start using it and seeing results! I've wanted to try this...I think I would get the redefine. I have heard really great things about this! I definitely need to chat with you at tball this week. I would love to try this!! I have such horrible acne and have tried nearly everything. Thanks! I'd love to try the Unblemish! Thanks for the info Erika! Email me if you're interested in anything and well get you taken care of!! Hi Erika! I would try the soothe or the redefine line. I also think I need that sunless tanner. Is it easy to apply and how's the color? Thanks for the giveaway! ive been wanting to try this line!! i have heard great things! Would love to try Redefine. Thanks for the information! ive been wanting to try this line!!! Reverse! Reverse! I would 100% choose reverse! I would def. choose the redefine regime!!! Thanks for this op.! I am in the process of shopping for new skin care right now, would love to try your line. Do you have a website or can you email me more info on these products? I am very interested in learning more about the aging line. Thank you! I've heard great things about their skin care. Your skin looks fantastic! I'd love the Redfine line. Oh geez, when did I get old and start wanting anti-aging products?! Thanks for sharing. This is exciting...would love to win!! Your skin does look great in these pics. I'd love to win the sun damage reversal...or anti aging! Been Looking for a good routine to start! Thanks for the opportunity!! Thanks for sharing this opportunity! Great products! I've heard great things about Rodan & Fields. Would love to try it!!! How fun, I'd love to win! I would pick redefine. Fun giveaway! I would use the Reverse system! I've heard amazing things about this line! Probably time to make the switch. Thanks so much! Congrats on the new biz! I would love to try the Redefine! Thanks for hosting a giveaway!! Redefine sounds perfect for me, too! Thank you! Thank you so much for this, I have been wanting to try these products and I love the feedback! Reverse for brown spots and sun damage...sounds amazing! Would love to win and try it out (and fix this skin)! : ) Thank you! I have heard such good things about Rodan and Fields! Would love a chance to try it. This is an awesome giveaway! I would choose the soothe regimen because of my super sensitive skin and mild redness. Sunless tanner and Redefine would be on my list! I've been curious about this line for some time so it's good to hear that you are happy with it! Great giveaway! I have been wanting to try the reverse products. I have been interested in trying their products and am in need of a new skin care routine! Thanks for the giveaway opportunity and good luck with your new business! I have bad acne scarring and would love to try their routine out!! Always looking for the best in skin care! Good luck on this new venture!! I have been wanting to try their products and I'm in need of a new skin care routine! Thanks for the giveaway opportunity and good luck with your new business adventure! Would love this! I have been struggling to find a good skin care line and with my second baby almost here, I am ready to try something new. Thanks! I love the ProActiv product, so I'm all in!!! Keeping my fingers crossed!! Unblemish for sure! I'm so interested in trying this! Yay for this giveaway! So glad you did a post on what skin care product line you use. Your skin looks so good in all your pictures! The Redefine sounds divine! Thank you!!! I would love the redefine! R+F is probably the most popular business right now!!! I hear about it every single day! I'd love to try the redefine! Would definitely love to try the unblemished line! I've heard so much about this product but have never tried it. I think I would try the Redefine, or the exfoliating roller system. I would love to try redefine! How fun!!! I would love to try the Redefine!! I've just started hearing a lot about this brand! Really would love to try. I would love, love to try Unblemish!! How exciting! I think I would like the Redefine line. What a great givaway!!! I'm starting to see the damage I did to my skin in my early 20's from tanning!! I've been interested in trying the products for the aging and sun spots. I think I would choose redefine, thank you! Yay! I would LOVE to win the Unblemish! My skin has LOST ITS MIND recently and I neeeed help! Hi! I'm very interested in this product. I'd love to try it. I'd really be interested to try these products and would pick the Redefine. Thanks for sharing! I've been using a more expensive product, so excited to learn more! I've been wanting to try their products! The tanning lotion sounds awesome. I'd pick the redefine line! Would definitely love to try their products. awesome giveaway and I just love your blog! adorable family! have a great week! Redefine! I keep hearing about R&F products and am very curious. I would choose the reverse for sun damaged brown spots, would love to win!! I would choose reverse! Great giveaway! I would love to try the Unblemish!! would love to try the unblemish! I would love to try the Redefine! I'm about to turn 30 and have been searching for a new skincare regimen. This sounds PERFECT! I've been eying the reverse regimen for awhile! Good luck with your launch! 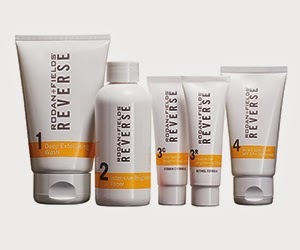 I have been using the Reverse regimen and LOVE it!! I've always been interested in R&F. Now that I'm 31, an effective anti-aging regimen is so important to me. I recently invested in a pricey line and have been using for 5 months now, but don't think it's worth the $ to repurchse. Sooo, I just might have to give R&F a try!! I would choose the SOOTHE! I have very pink/red skin! And I am very interested in trying these products! I've read your blog for a long time now and adore your cute family and little circle of friends! TOO FUN! Best of luck to you! Oh. I would love to win this! I am so excited about this giveaway. I am 36 years old and my face still breaks out like a 16 year old! haha I need help. Thank you in advance and God Bless you. I would love to win this and have a chance to try it for free. I'd love to try a new skin care regimen. Thanks! I would like to try the unblemished line. I'd love to try the Reverse line! I would love to try the sunless tanner or the R&F. Your skin is flawless! I have never heard of these products but the redefine is what I am interested in!! I'd go for the redefine and tanner!! Would love to try the Redefine!!! I would love to try the reverse line. I NEED the Reverse!! :) Ive been thinking about trying R&F forever!! Thanks!! I would love to try Redefine! I use the sunless tanner and love it! I would LOVE to try the redefine line...40 got here way too fast! 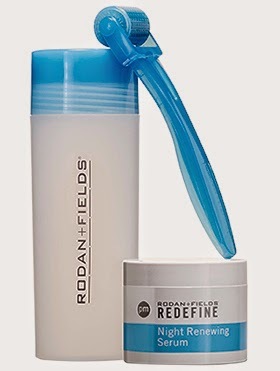 I would love to use the Redefine line! I think it would do wonders for my skin! I love this giveaway!!! 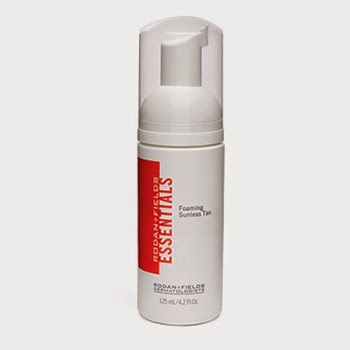 I'm such a huge fan of the Rodan & Fields Sunless Tanner & Sunscreen, and I would love to try their skin care regimine. I will definitely go through you to re-stock my sunless tanning supply! What a great way to start a new chapter in your life. Unblemish would be my choice! I would definitely pick Redefine. Noticing my skin doesn't look as great as it used to! Hi Erika! I would choose number one. I have always wanted to try so excited! I would love to try the unblemish line!! Would love to try the acne regimen! Would love to win! Your skin is beautiful! I would love the Reverse regimen! Thanks for offering this! I have used the microderm paste and love it. I hope I win! Unblemish! 3 kids has made my skin like a teenager again!! So excited for you and this new opportunity! Would love to try the products. I think I would go with the Reverse. I'm low 40's and my skin is showing the ugliness of no sun screen when I was a teen! Unblemish regimen because I have always had problems with acne since teen-aged years. I have scars to prove it. It would be so great to win. Thank you! 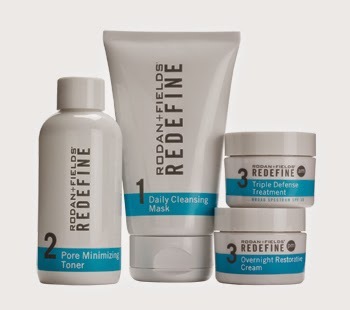 Have heard a ton about R&F and would love to try the redefine line. I think I'd try Redefine! 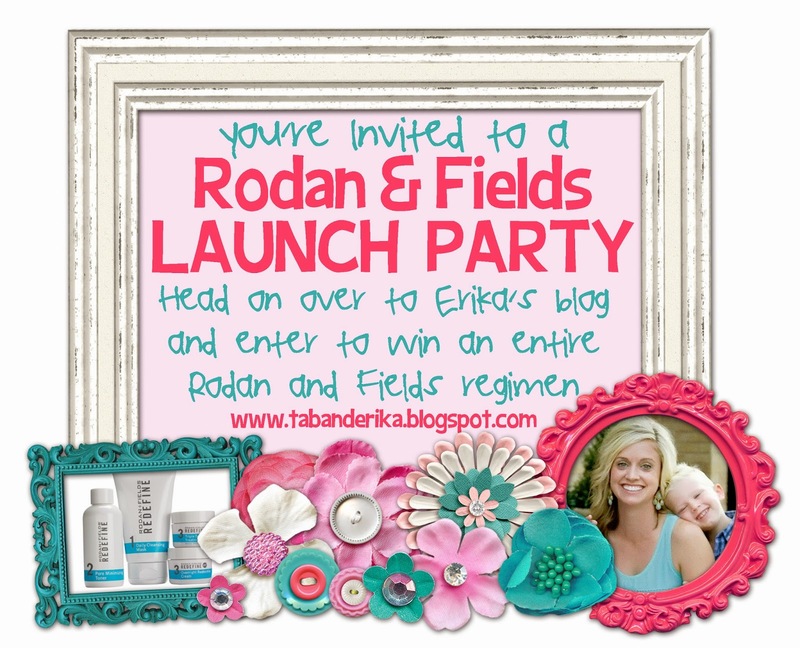 I've always heard so many good things about Rodan & Fields...what an exciting opportunity for you:)!!! Your skin is beautiful and this is amazing! I haven't ordered yet, but I love all the feedback on these products! They're just so crazy expensive! Would love to win to try! I'd love to try the regimen for dullness and sun damage. Love your blog!! Thank you so much!! I'm about to turn 30 in a few months and have been searching for a new skin care regimen! Would love to try the Redefine!